Honestly, I think about my March 2006 Afghanistan trip daily and wonder how the people I met are doing. Earlier this week a representative with Global Exchange, which I traveled on one of their Afghanistan Reality Tours, contacted me regarding this post (Laughing in Afghanistan) requesting to post it on their blog. 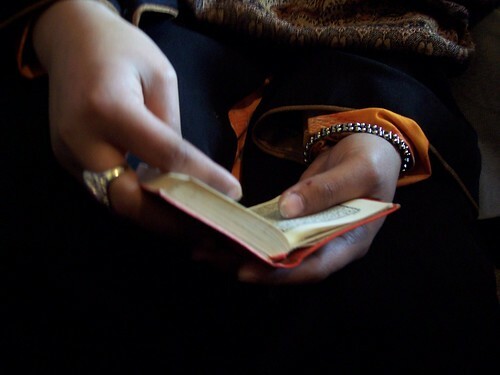 In respect of timing, I’ve posted this image showing a young girl’s hands holding a Koran while praying. Not sure what it is about this photo but it’s one of my favorites from the trip.